Product prices and availability are accurate as of 2019-04-15 22:47:39 EDT and are subject to change. Any price and availability information displayed on http://www.amazon.com/ at the time of purchase will apply to the purchase of this product. 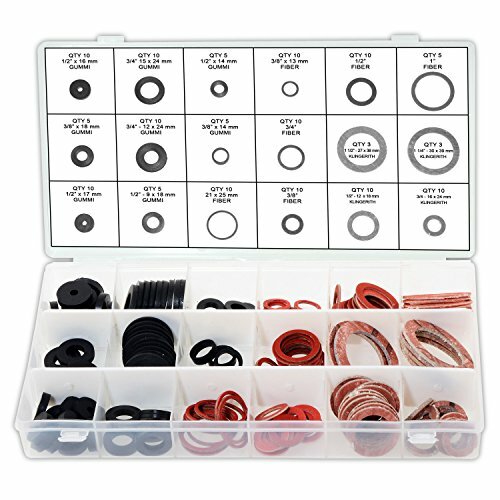 This assortment of 141 washers with 18 different sizes includes washers used for faucets, valves, plugs and pipe and fitting connections. Different washer materials to include: Rubber and fiber. The set includes popular sizes for home or business plumbing applications. The storage case keeps the washers clean and dry.